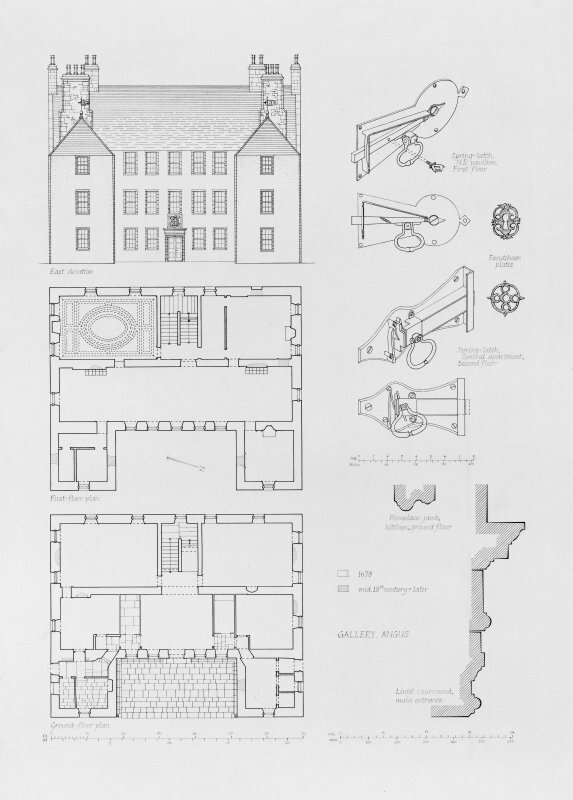 Scanned image of elevation, plans and details showing latches and mouldings. 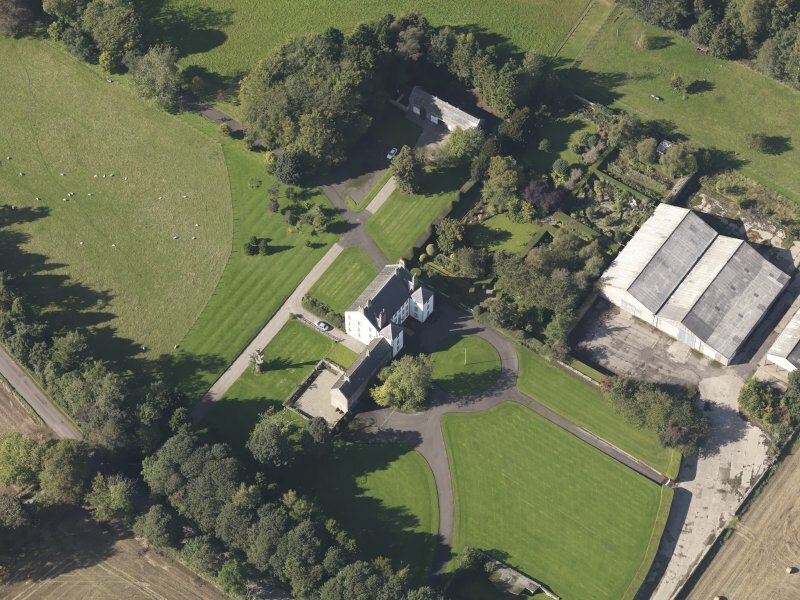 Oblique aerial view centred on Gallery House and gardens with cropmarks adjacent, looking to the SSW. 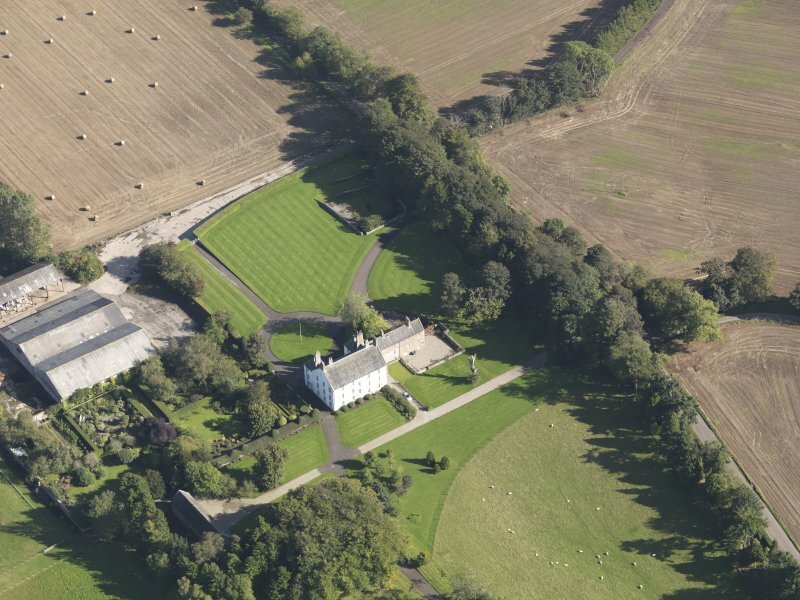 Oblique aerial view of Gallery Laird's House, taken from the WNW. 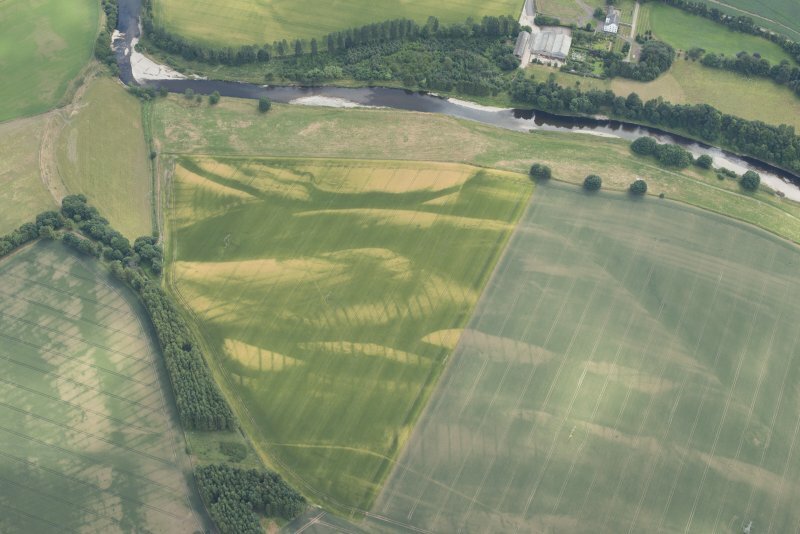 Oblique aerial view of the cropmarks at 'Montgomery's Knap', looking SSE. 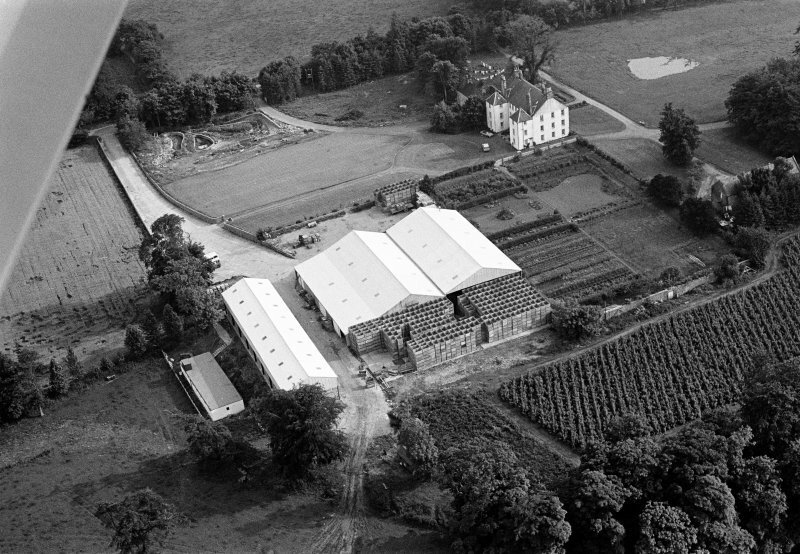 Oblique aerial view of Gallery Laird's House, taken from the SE. (NO 6732 6560) Gallery: Main block three storeys, flanked by square single-storey pyramid-roofed towers. The weather vane is dated 1680. Two-storey and basement S wing harled on E and W; N part rubble (? 1680) and S part ashlar (?1743). A J Warden 1880-5; HBD list No. 7. Apparently an 18th century mansion. No interesting architectural features. Visited by OS (J L D) 25 June 1958.